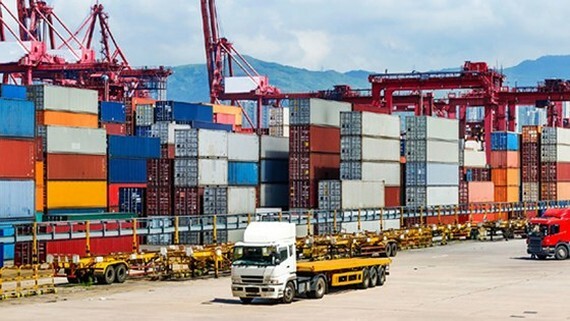 In its project to develop logistics till 2025 with the vision to 2030 aiming to shrinking cost, the Department of Industry and Trade in HCMC has planned to build logistics centers in locations with huge consumption market, in production districts or near ports with container terminals. Vietnam Logistics Association and the Department of Industry and Trade jointly organized a seminar themed “Developing logistics service sector in Ho Chi Minh City” with the participation of nearly 100 logistics firms yesterday. According to the World Bank’s Logistics Performance Index in 2016, Vietnamese logistics ranked the 64th out of 160 countries and the fourth in ASEAN after Singapore, Thailand, and Malaysia. Vietnam is set to see very strong growth in trade over the coming years, which will support ongoing development and expansion of its logistics. 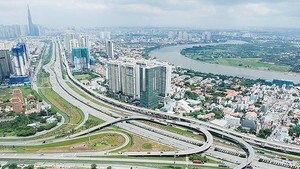 The logistics sector is one of the fastest growing sectors in Vietnam, but poor infrastructure is increasing its costs. For instance, in 2016, Vietnam’s total logistics cost was $41.26 billion making up 20.8 percent of gross domestic product (GDP) while these costs accounted for between 9 percent and 14 percent of GDP in developed countries, yet the sector contributed 2-3 percent into GDP. Statistically, logistics cost in Vietnam is 6 percent, 12 percent and 3 percent higher than in Thailand, Malaysia and Singapore respectively. High logistics fee indirectly reduces Vietnamese products’ competitiveness in the world. Though it has many advantages for growing, Vietnam’s logistics sector is still weak. Vietnamese firms just mainly provide domestic services such as transportation, port services, air services, storage service and loading and unloading services. Some firms are subsidiaries of foreign enterprises. In order to address the above-mentioned weaknesses, the logistics hubs should be built.